This Scrabble Deluxe Board Game is definitely not your average game of Scrabble. Featuring a stained wood game board and tiles, a gold-toned timer, gold foil-stamped components, and embroidered tile pouch, the game board even has a raised grid and rotates for ease-of-play! 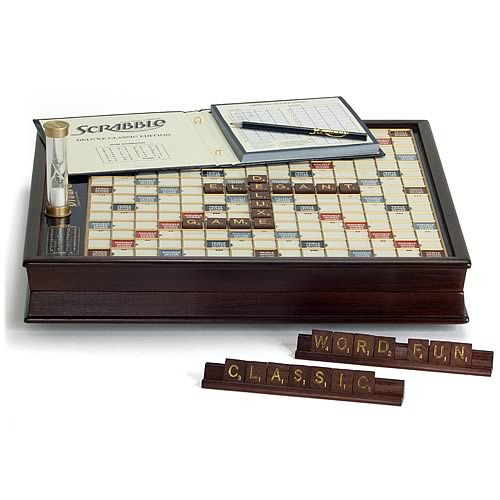 You'll feel fancy and classy playing Scrabble with this! For 2 to 4 players. Ages 8 and up.